Home » Diet » Top 5 Health Benefits of Yerba Mate Tea! Top 5 Health Benefits of Yerba Mate Tea! 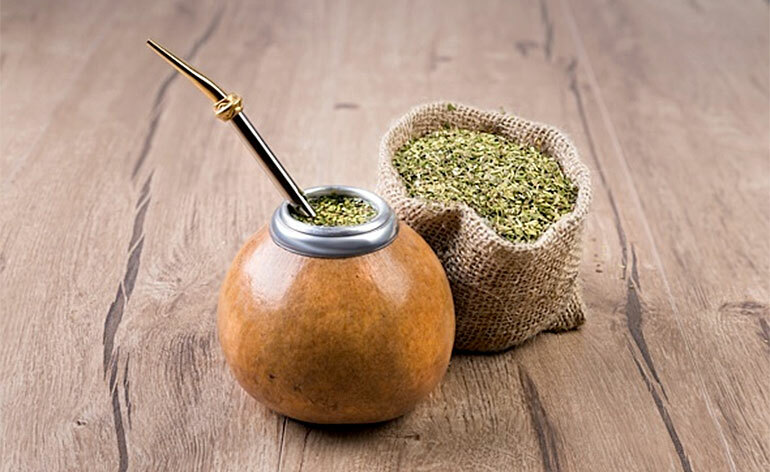 The sociable South American tradition of passing around a gourd of Yerba (‘herb’ in Spanish) mate leaves soaked in warm water has now developed into a health craze in the Western world. With the botanical name ‘Ilex paraguariensis’ a member of the holly family, Yerba mate is known for its remarkable health-giving properties and is widely available in many health food stores today. 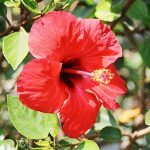 It was originally cultivated and consumed in Central and Southern regions of South America. Yerba mate has a grassy, smoky, green tea-like taste that’s a perfectly refreshing alternative to coffee. Upon consumption, you can experience similar euphoric effects to chocolate and it’s becoming further recognized today for its proven anti-cancer properties. Read on to discover more about the Top 5 Health Benefits of Yerba Mate Tea! Yerba mate has the positive effects of coffee but without the physical shaky or trembly side effects. It contains around 80mg of caffeine per cup. The caffeine in this marvelous herb combined with its B-vitamin profile helps to boost your energy levels, improving alertness and helping you stay focused, thus combating tiredness and fatigue. As mentioned above, yerba mate has an impressive vitamin B profile, helping to improve nervous system function and increase mental alertness. Yerba mate also contains theobromine and theophylline, two alkaloids that work together to provide a stimulating effect. Theobromine is the alkaloid found in chocolate, which is responsible for giving you that euphoric feeling after that melt-in-the-mouth sensation of chocolate. Yerba mate is high in saponin compounds which have antioxidant and anti-inflammatory properties, assisting the immune system to fight off viruses and infections. In addition to this, yerba mates provides vitamin C and minerals zinc and magnesium, which help keep you hale and hearty! Yerba mate falls in the popular category of teas that help you lose weight. It suppress appetite and helps to fire-up your calorie burning functions. It’s also good for your digestive system, helping to ease your bloating spells and relieve any IBS symptoms you may experience. Studies are beginning to come in that yerba mate possesses some anti-cancer compounds. These include chlorophyll, saponins and rutin, all of which are known to be anti-cancer in nature. There is more extensive research being done on this as we speak, but so far, the results look promising. You can find yerba mate in many health food stores on the high street, either in the form of tea bags or loose tea leaves. Try having a cup of yerba mate before your dinner to see how it affects your appetite. Or try having a nice warm cup when you’re feeling a bit run down, or in exchange for your morning coffee to help you wake up, get up and go! Got experience with Yerba mate? Let us know about it below or @ KeepfitKingdom ! 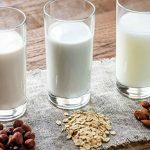 Top 5 Health Benefits of Dairy-Free Milk! Top 5 Health Benefits of Mangosteen!